Whilst Grace Turner hasn’t been releasing any music for a little while, 'Dead or Alive’, the second single off her impending debut EP, has made up for any lost time at a staggering rate. ‘Dead or Alive’ is the follow up to Turner’s stunningly sparse debut single ‘Angry’, which dropped towards the end of last year and turned more than a few heads in the process. ‘Dead or Alive’ now exhibits Turner’s honest, striking songwriting style in full band form and is an exciting indication of what lies ahead. Hitting us right from the get go with driving drums and an all-round bigger band sound, ‘Dead or Alive’ has Turner teasing an exciting level of possibility in her music. And for those swept away by the charm and honesty of ‘Angry’, Turner delivers big time on that promise with a masterclass in lyricism and a big, big pop chorus. Now that it’s reaching the part of the year to stay at home and listen to music, ‘Dead or Alive’ has dropped just at the right time for you to get really lost in it. We got in touch with Grace to get the inside scoop on the new track and what lies ahead, before it all gets a little too big for a little unconsequential arts website like ourselves. TJ: For those who haven’t come across your music before, who is Grace Turner? 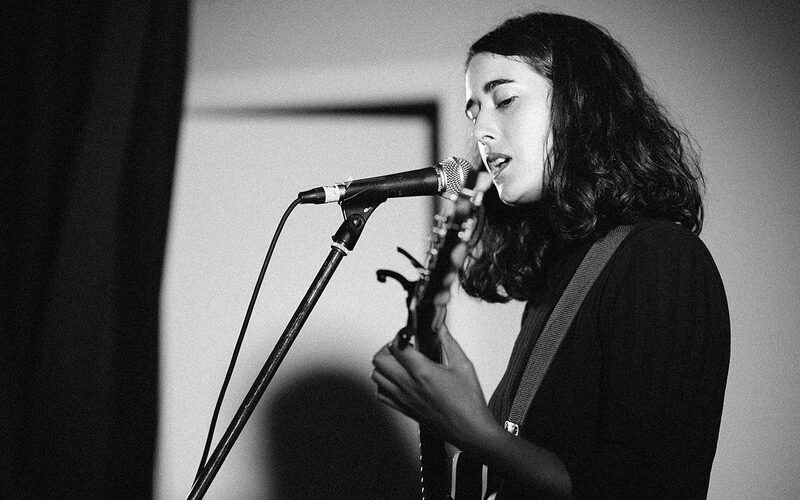 GT: I am a singer and songwriter and live in Newcastle, NSW. I work part time as a gardener and have been making music pretty obsessively since I was very young. The new single 'Dead or Alive' is really great. How did it all come about? The song was written after a phone conversation I had with a friend one night, basically transcribed from what they said to me. I then took the song to a local open mic night where I would sometimes test new material, the initial reception cold to lukewarm at best. I pushed on and had a recording session booked for the following week and tried the song again with good friend and drummer Alex Knight. He wrote the drum part and got the balance between the 'I’m not ok’ and ‘there’s a light at the end of the tunnel’ feeling delivered in the track. We've had a sneak peak of the accompanying film clip too. What can you tell us about that? It’s coming out very soon! I worked with local film maker and friend Thomas Hudson on this and I think we made something really special. I wanted to get across that this song is essentially about friends helping us through the hard times. So we invited a bunch of pals to Tom’s house and ended up basically hugging one another in a mosh pit like scene for around 10 hours. It was intoxicating and very intense. 'Dead Or Alive' is the follow up to your stunning debut single 'Angry'. How have you found the response since that first release? I have been blown away by the response I had from 'Angry'. I hadn’t released anything in two years so I wasn’t really sure what to expect. Triple J have been very kind to me and given it some air time and I have now made many more friends and fans! And 'Dead or Alive' is the second single off your debut EP? What can we expect from that release? The EP is titled intensions as it has been such a long time coming. It’s definitely a precursor for the eventual album. The songs on it are stylistically pretty diverse and as usual, it’s me pouring my heart out and saying things I probably shouldn’t say. The Songs for Justice project you’ve just been a part of looked really interesting too. Could you tell us a little about that? This has been a profound project for me. I was asked by a local gallery The Lock-Up to collaborate with lawyer Ray Watterson and write music to a poem he had written about mentally-ill French photographer Roni Levi who was controversially shot and killed by police at Bondi Beach in 1997. It was a part of a show they had on called JusticeInJustice. We put on a show at The Lock-Up where I performed the piece as well as other relevant material with my band and alongside singer-songwriter Tonchi Mcintosh who had also worked with Ray. We raised funds for the local charity Soul Cafe and will be releasing the live footage from the night very soon! What else does the rest of 2018 hold for Grace Turner? This year is looking very busy and I am currently trying to keep my wrap my head around it all. I have a film clip coming out for ‘Dead or Alive’ next week and the EP following soon after. I will be touring late July/August and there is also talk to take the Songs For Justice show on the road as well! I would also like to go to Spain with my best friend and am planning to make the big move to Melbourne! Check out ‘Dead or Alive’ above and NSW crew can catch Grace Turner launching it at The Cambridge on Saturday May 19th with Max Quinn and King Single.